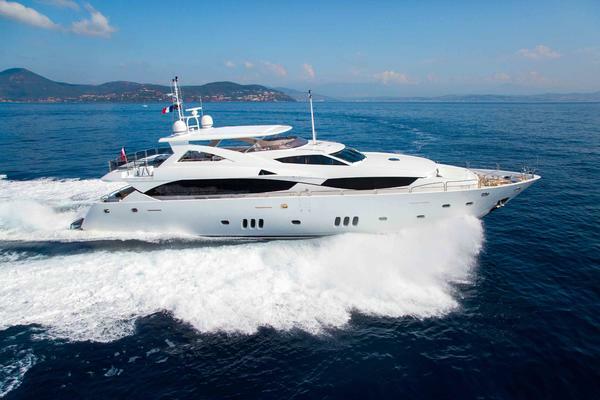 KEFI has the sleek, streamlined, sporty look that immediately identifies her as a Sunseeker. A Ken Freivokh design. KEFI is Lloyds Certified and MCA compliant. A spacious, 4 en suite stateroom layout, with the VIP en suite on deck, provides every amenity for owner and guests while the many al fresco sites offer relaxation in sun or in shade. Beautiful American black walnut joinery combined with cream leather settees and carpeting. 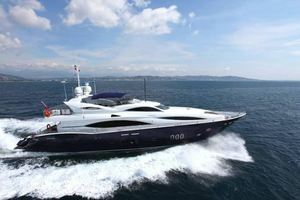 Twin MTU 16V's @2000 hp each give 20 knot cruise. 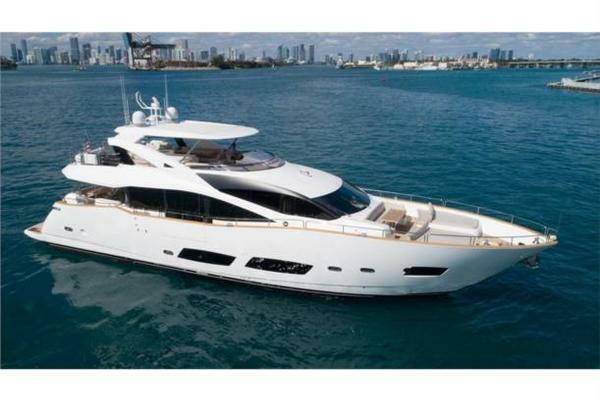 West Florida Yachts would love to guide you through a personal showing of this 105' Sunseeker 105 Yacht 2004. This yacht for sale is located in Fort Lauderdale, Florida and priced at $3,199,000. For a showing please contact us by filling out the form on this page and we will get back to you shortly!